incorporates in 1993, started off as a contractor dealing in structural steelworks. 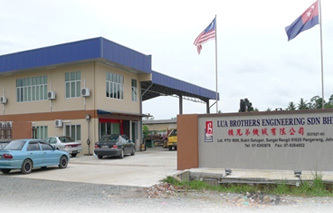 Our company is located in Kota Tinggi, Johor. Today, we are one of the leading engineering and design contractors in the steel structure industry specializing in steel fabrications and all kinds of steel bending and rolling for both minor and major projects, onshore, and offshore. Our specialities include steel plate rolling, J-Tube Bending, half pipe rolling, pad eye boring, hole drilling, machining, steel fabrication works, monorail bending, cone plate bending, handrail bending, Cast In-Situ Boring, welding, and shearing.